I needed a dish to take to a breakfast pot luck for a coworker who was leaving our department. Most of the breakfast pot lucks consist of lots of pastries and cakes which I cannot eat. I decided to make something both gluten free and low carb to share. 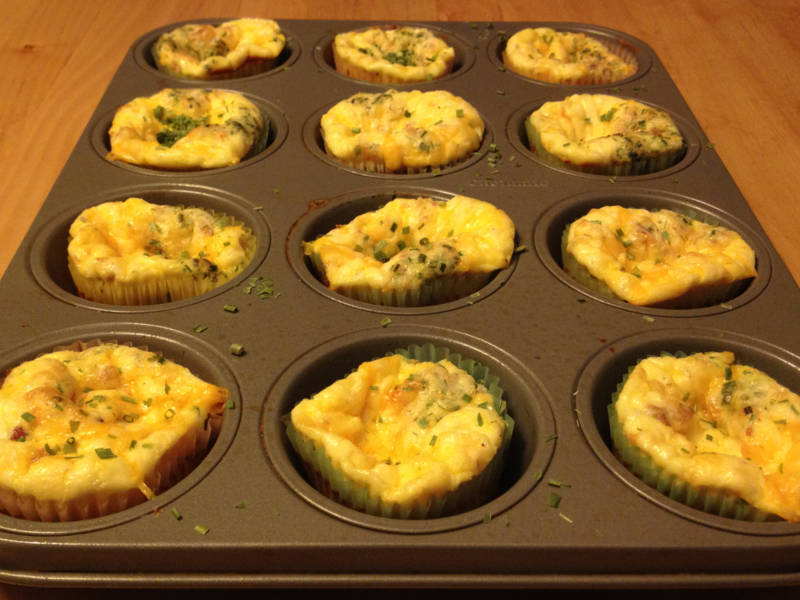 These little egg muffins worked perfectly. Preheat your oven to 375 degrees. In a large mixing bowl combine the eggs and heavy cream and mix until combined season with salt and pepper. Next gently fold in the rest of the ingredients. Place the liners in your muffin pan and fill each liner almost to the top with the egg mixture. Bake in the oven for 15-18 minutes or until the egg is set. Serve while warm . You can also make this dish ahead of time, simply cool muffins on the counter then refrigerate until needed. 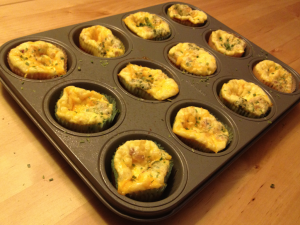 Pop them in the microwave for 30 seconds per muffin and Enjoy!